Monokinis or bikinis are a must for a beach getaway! I prefer swimwear with bold colors and cool cut out designs, edgy kind of style! beach bags with tassels and pom pom details are my thing! 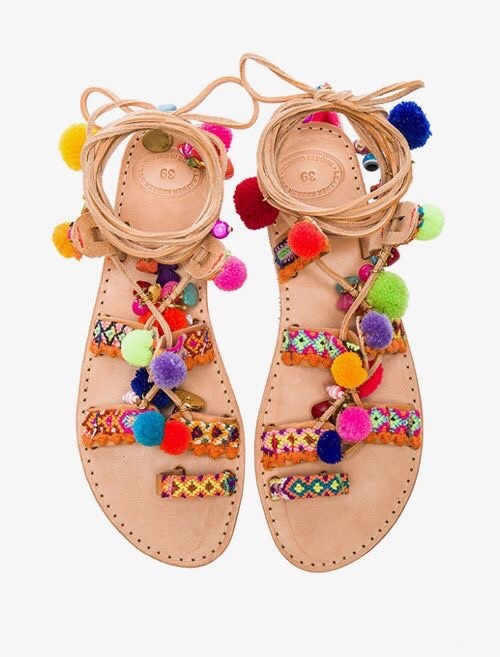 Since i like swimwear with bold dark colors i like to style it up with sandals that have cool and colorful details!